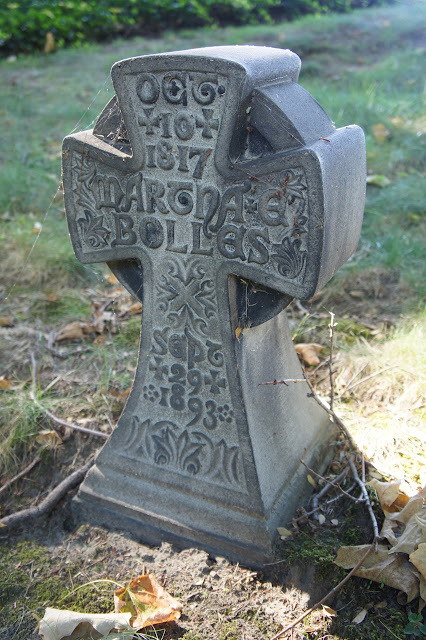 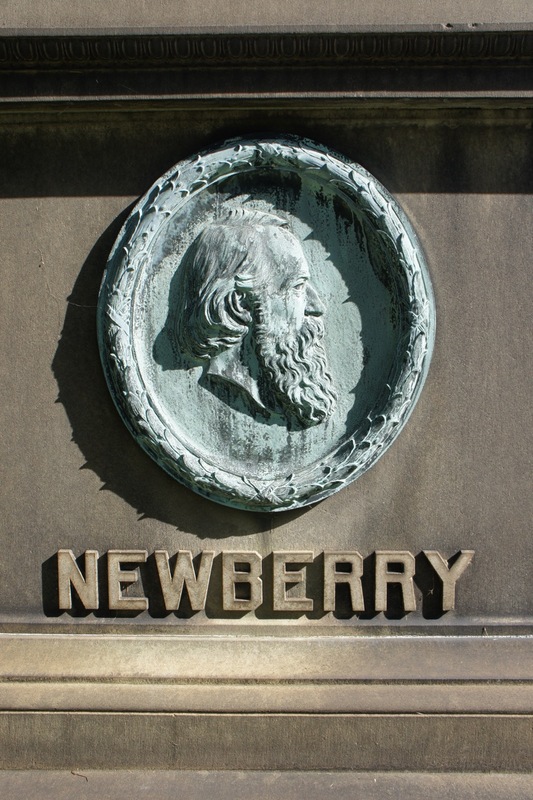 It's time for another edition of Cemetery Sundays, where I grab my camera and take a walk through a local cemetery, documenting the ornate beauty of old tombstones, sculptures and mausoleums. 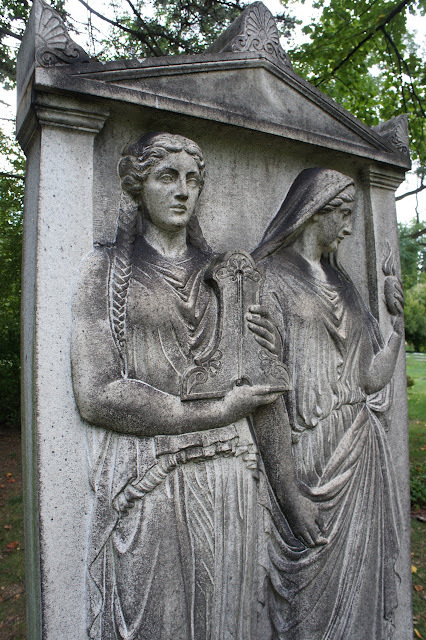 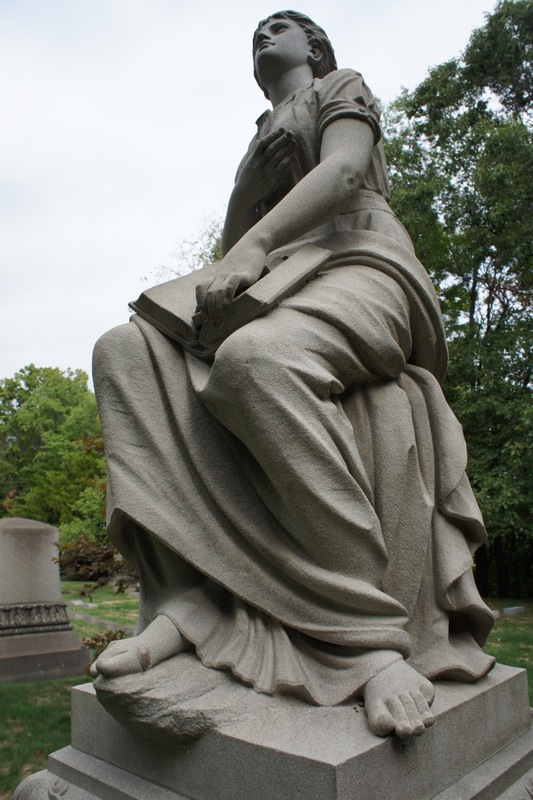 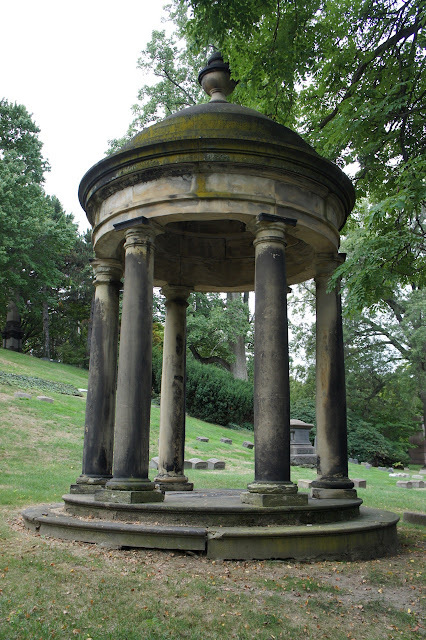 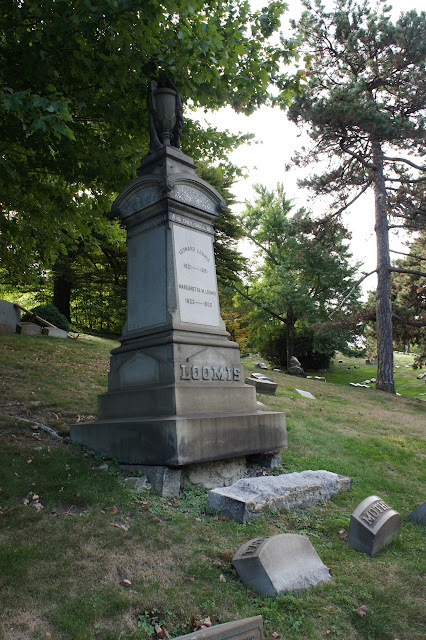 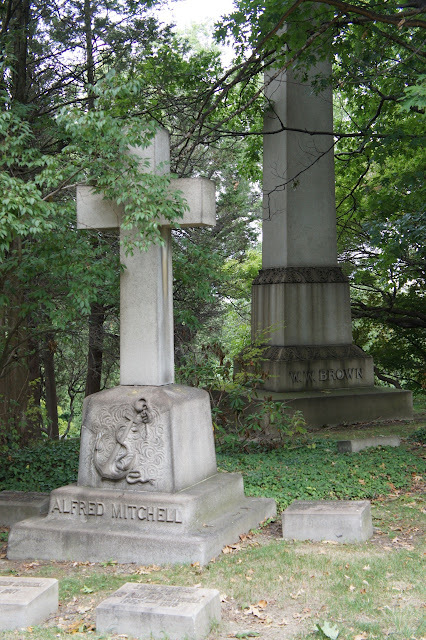 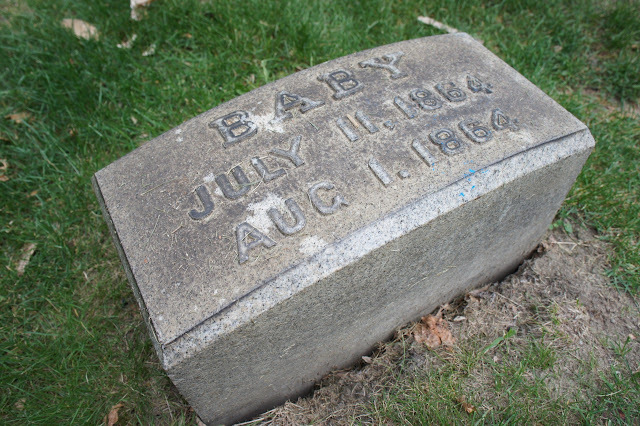 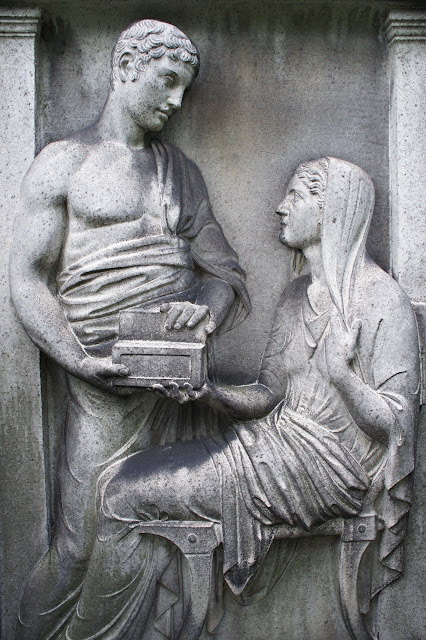 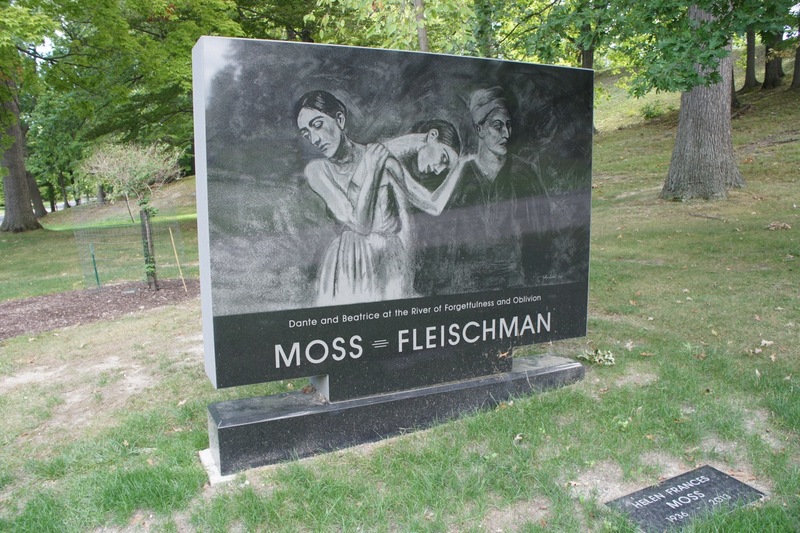 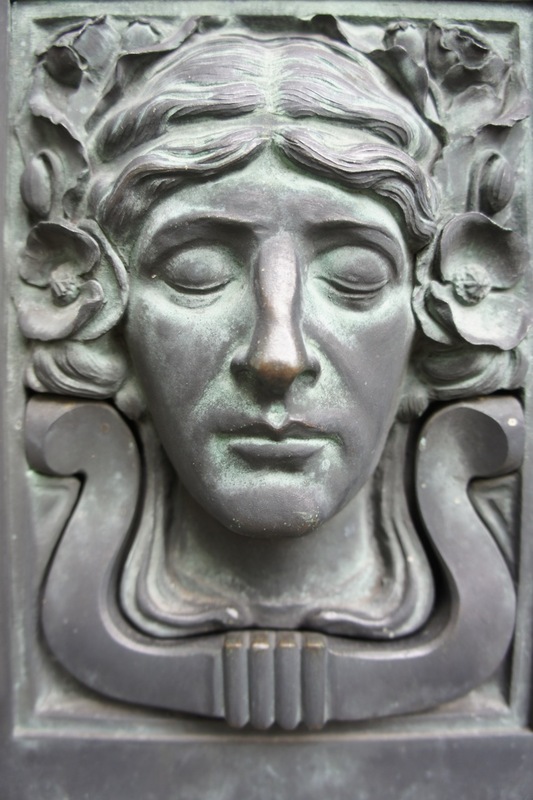 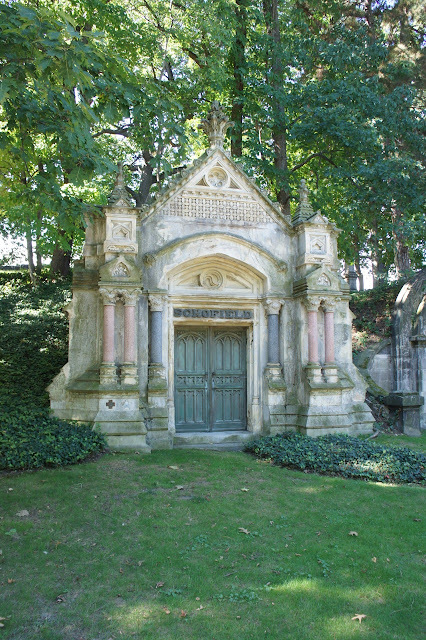 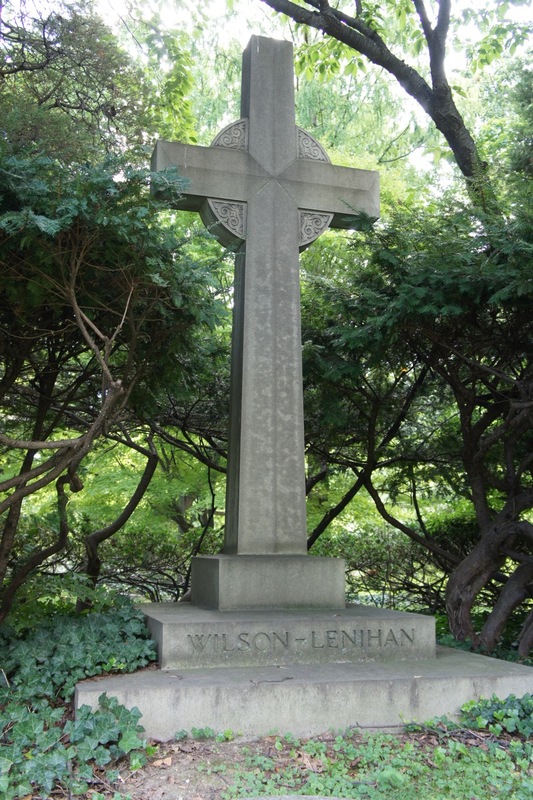 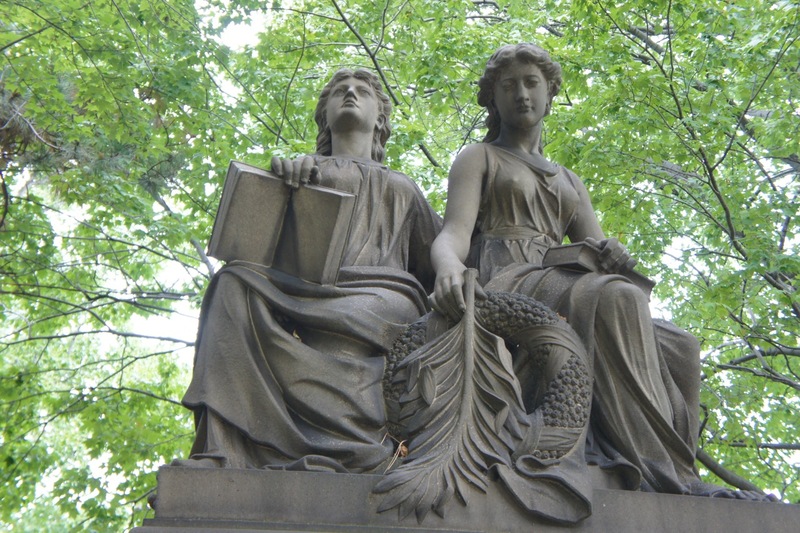 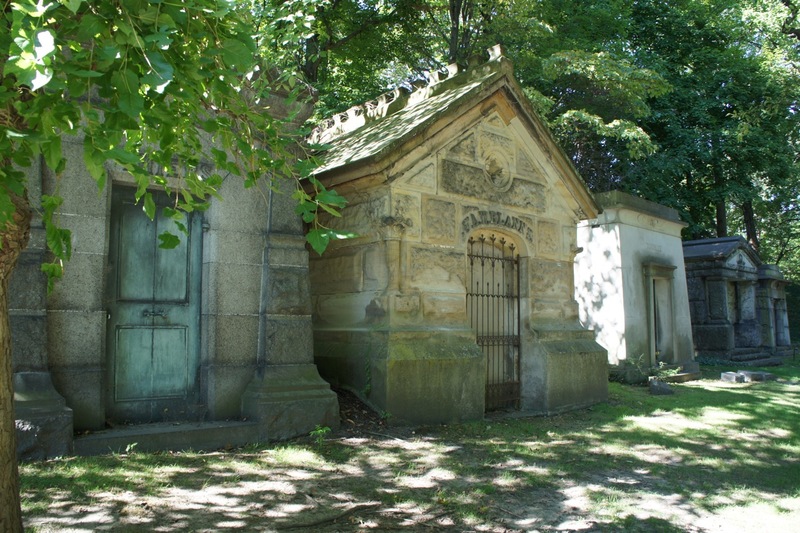 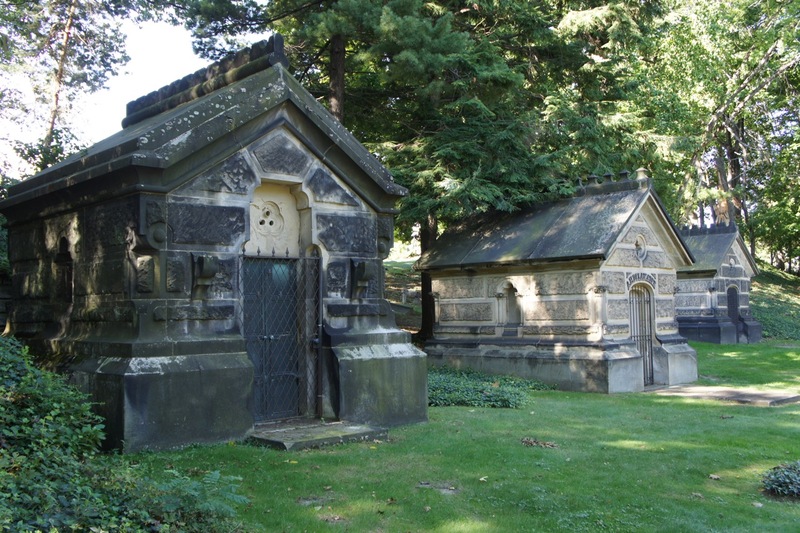 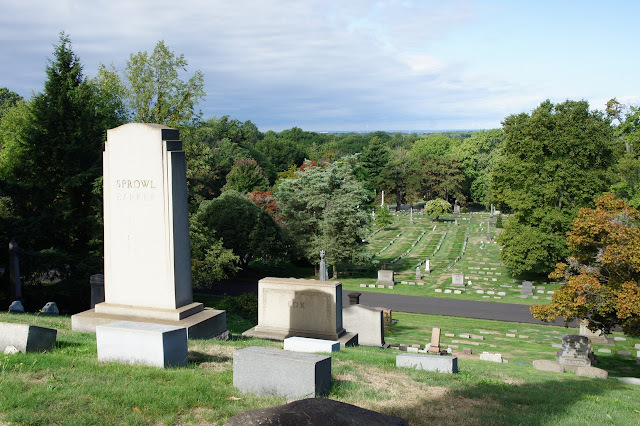 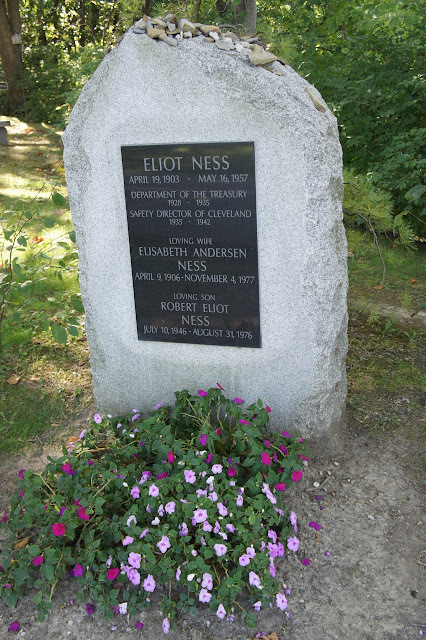 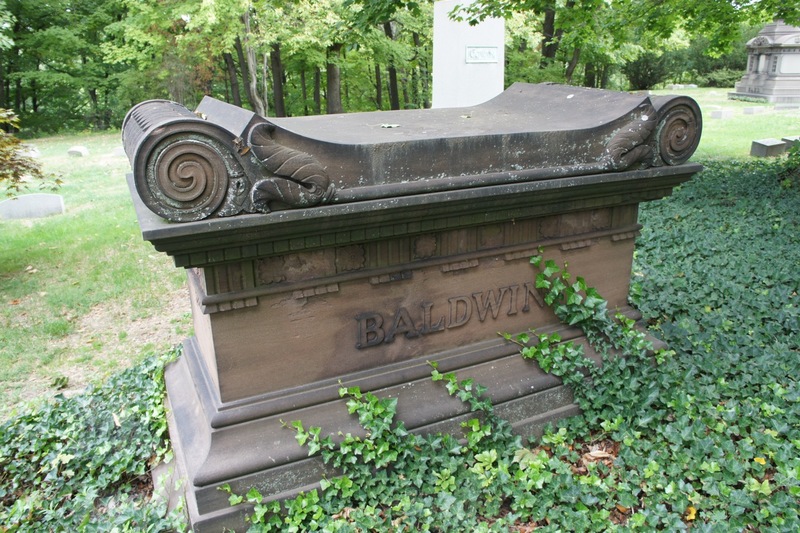 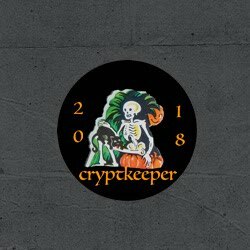 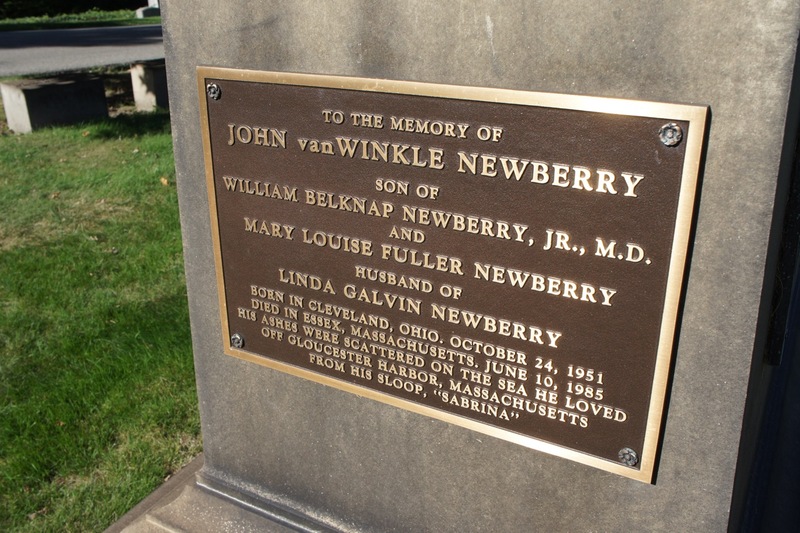 This week, I'm continuing my tour through Lakeview Cemetery in Cleveland, Ohio. 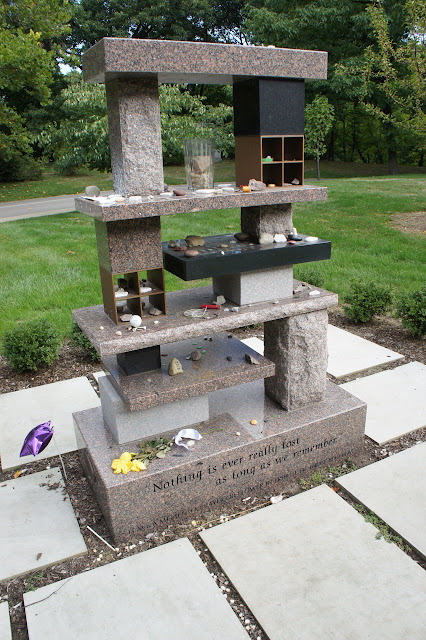 If you missed the first part of the tour, please go back and check it out here. 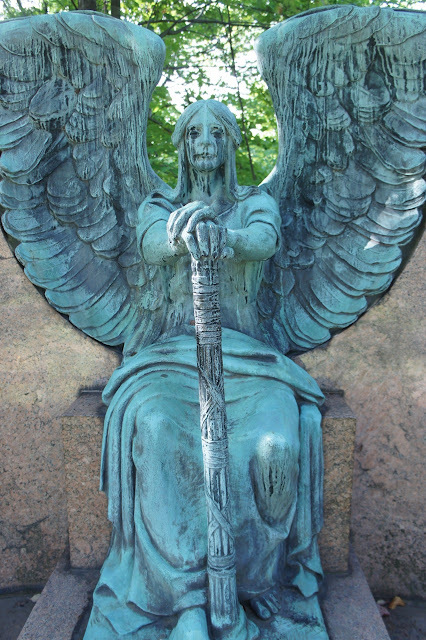 This famous cemetery is enormous and I was able to snap over 175 photos throughout the grounds. 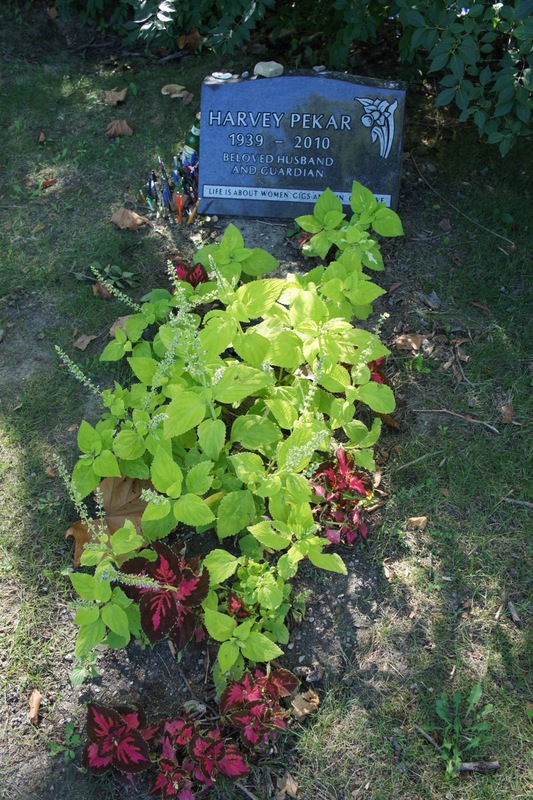 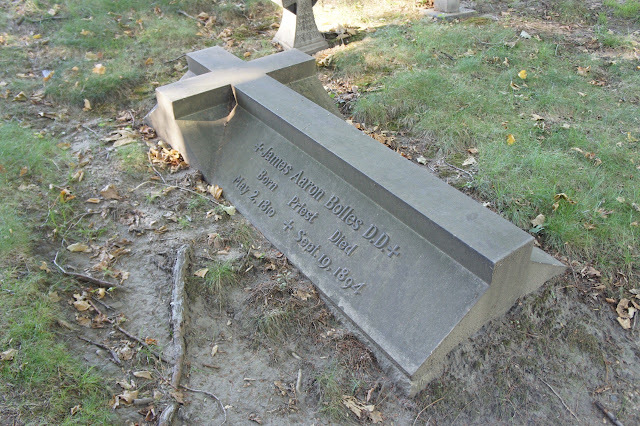 This is without a doubt the most famous grave in the cemetery. 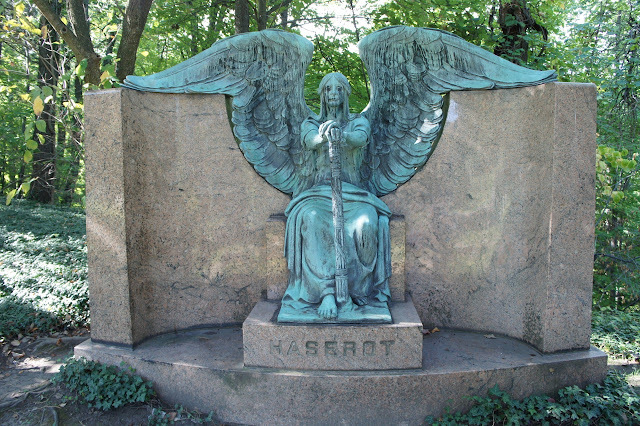 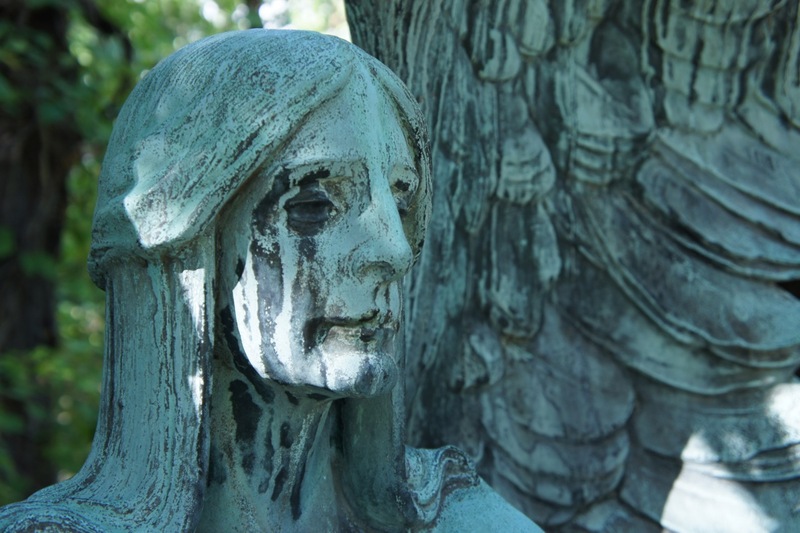 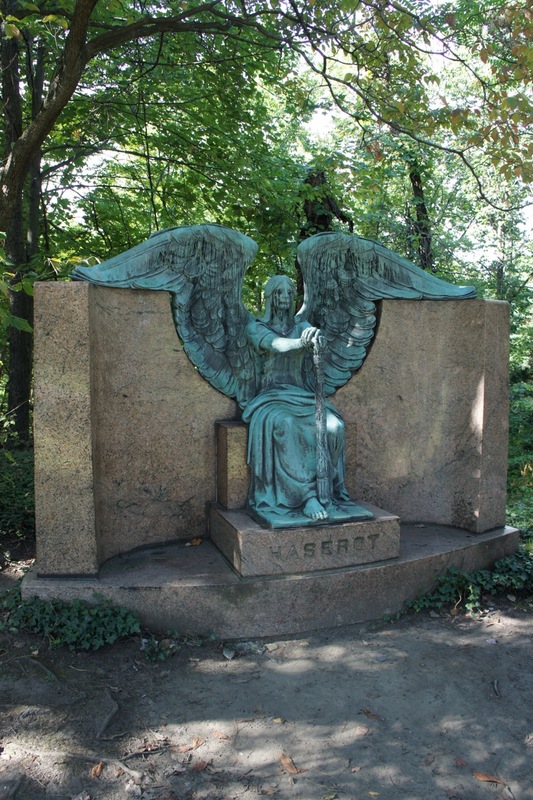 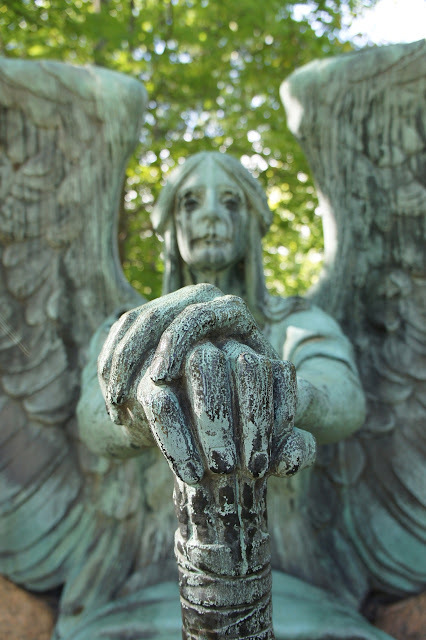 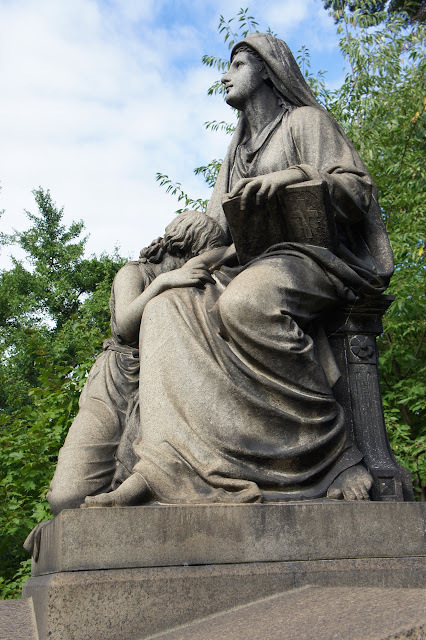 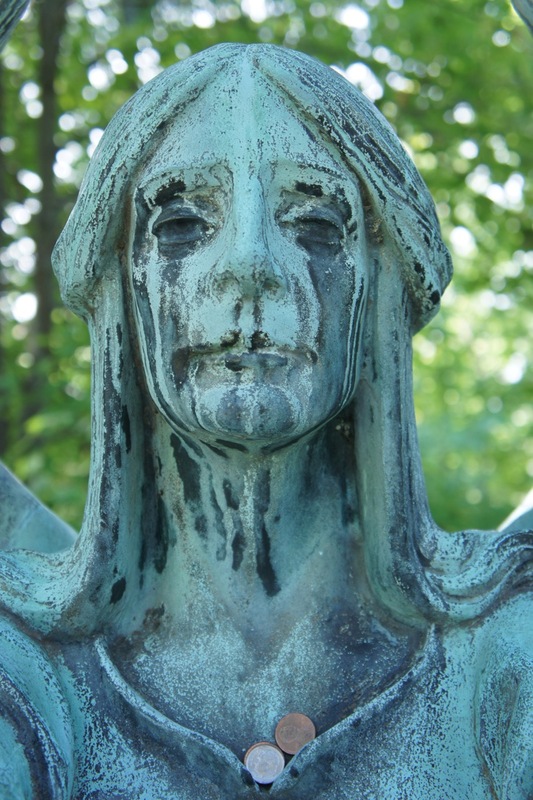 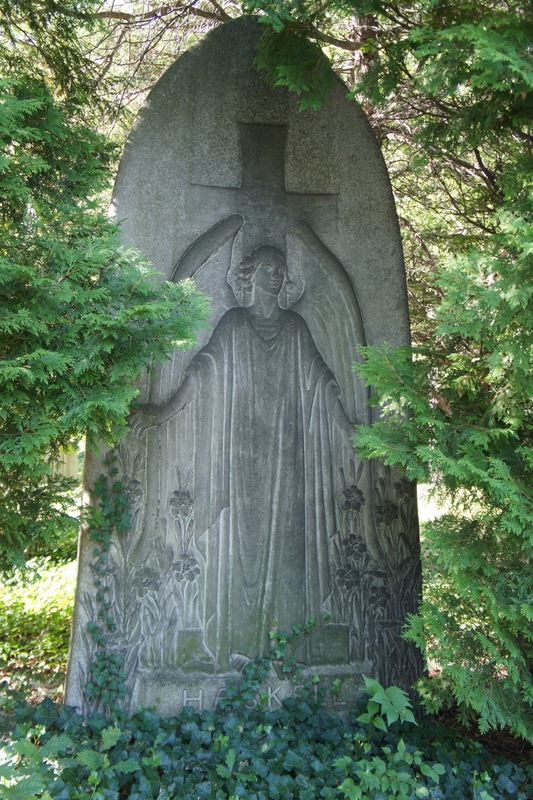 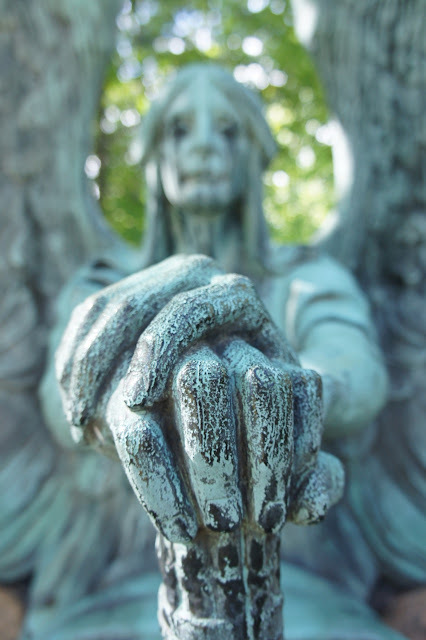 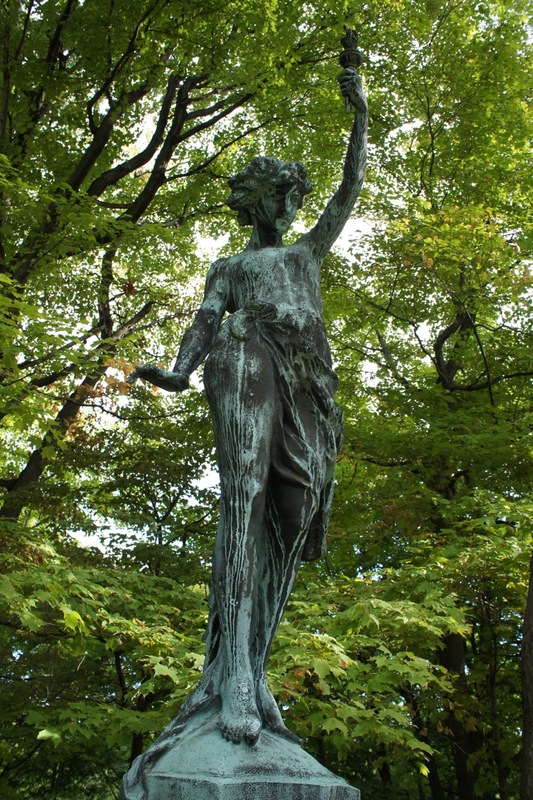 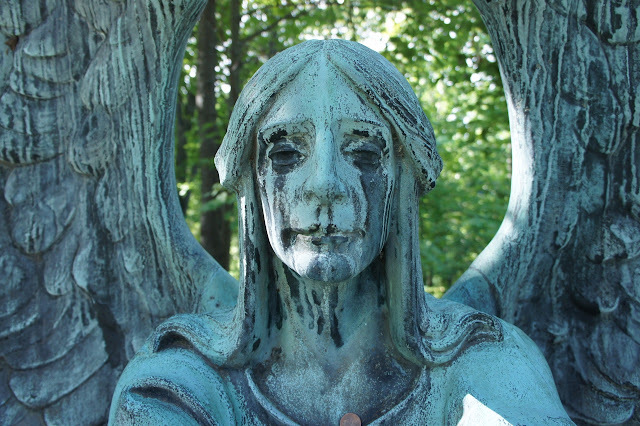 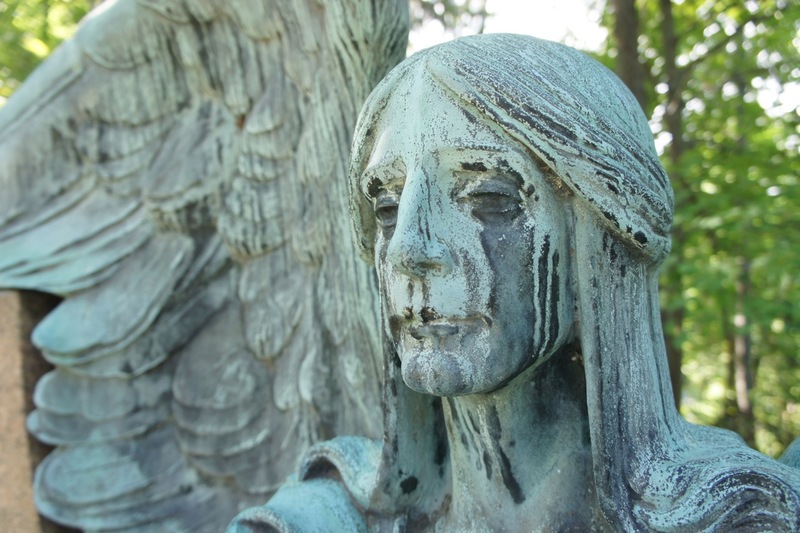 The sculpture, titled The Angel of Death Victorious, was created by artist Herman Matzen in 1924 and sits centered over the Haserot family plot. The seated bronze figure, holding an inverted torch, now has an interesting oxidation patina, giving it the appearance of weeping black tears down the face. 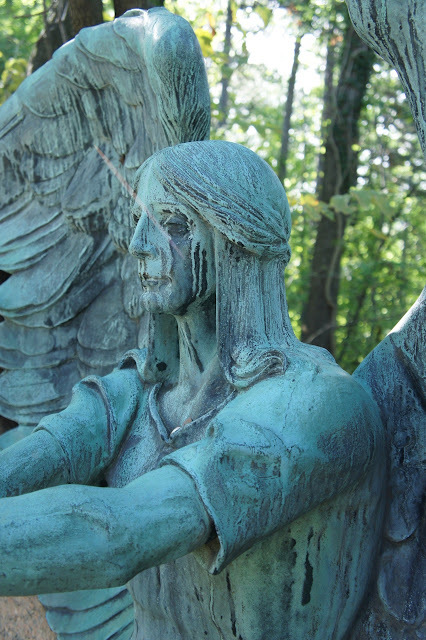 It took a while to locate the sculpture within the massive cemetery (it's actual location is at the end of the road between sections 2 and 3), but I was rewarded with 10 minutes of beautiful sunlight and uninterrupted time there. People have traveled far and wide to see this, and seeing this piece in person made me understand why. 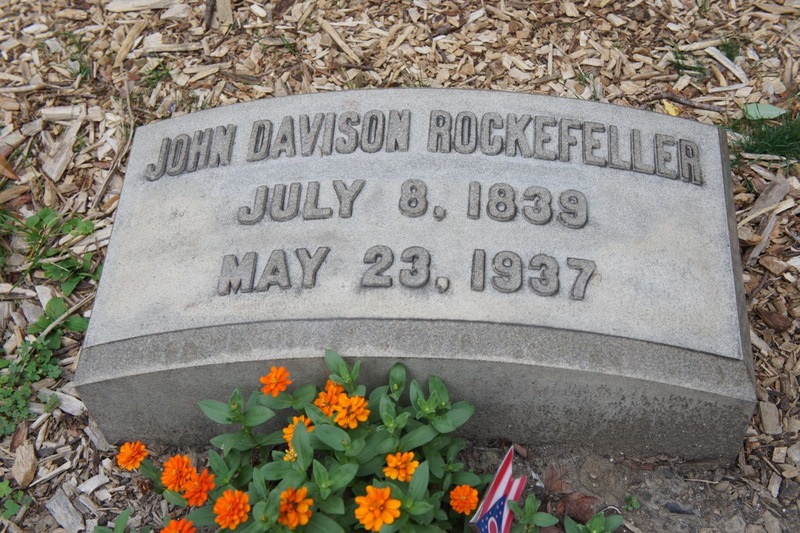 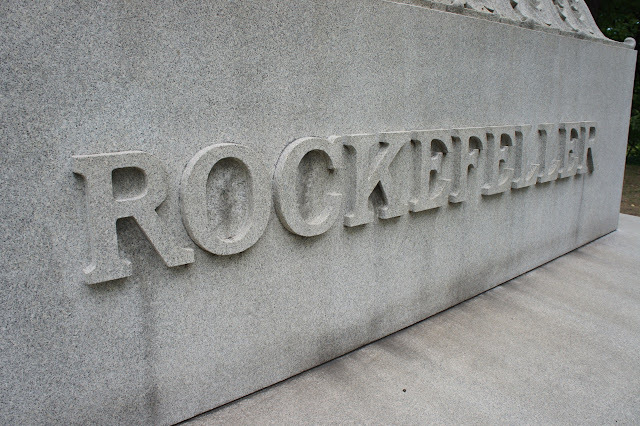 Oil magnate, philanthropist and founder of the Standard Oil Company. 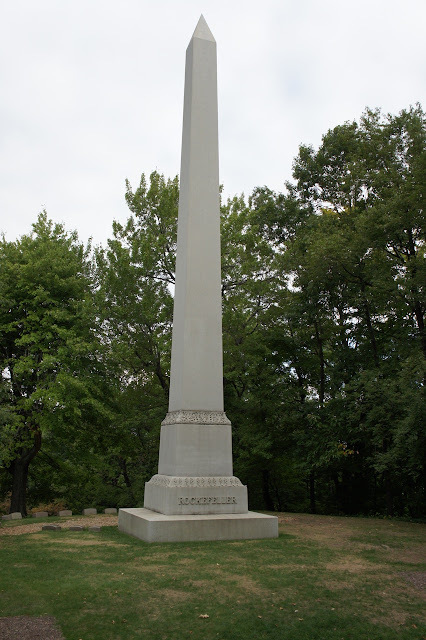 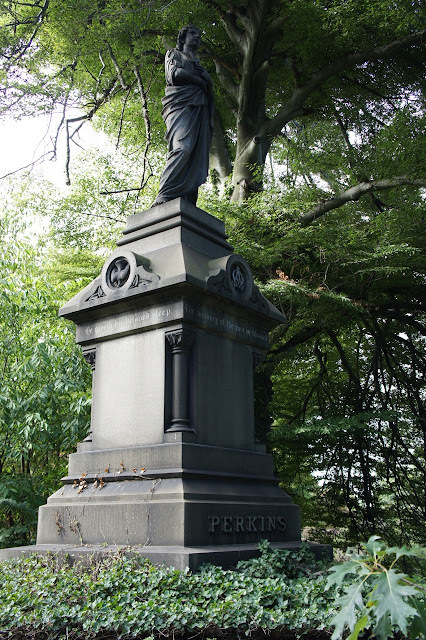 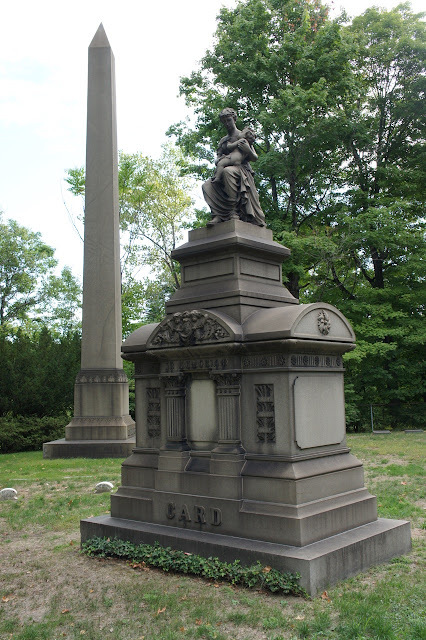 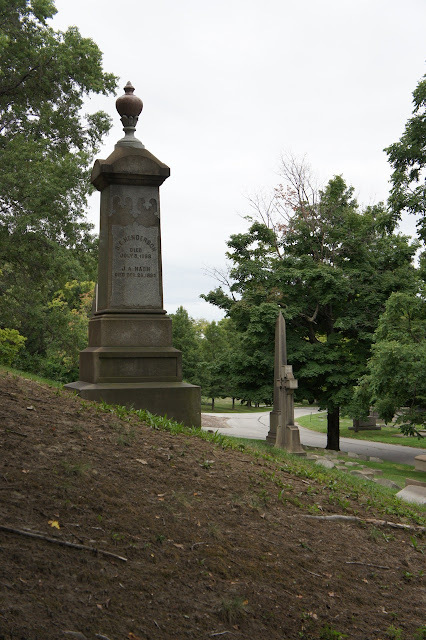 The family plot is marked with this enormous obelisk, located just to the left of the James A. Garfield Monument. 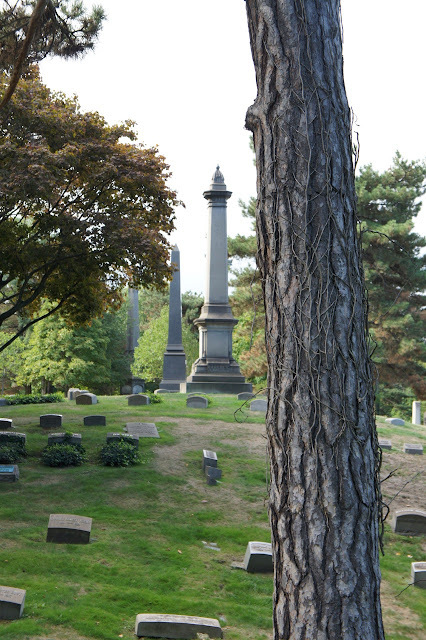 A shot from the top of a hill. 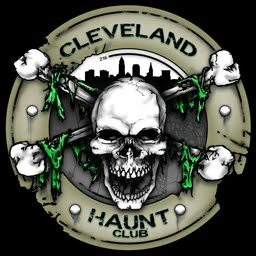 Downtown Cleveland and Lake Erie in the distance. Cleveland Safety Director and Prohibition Agent famous for bringing down Al Capone. 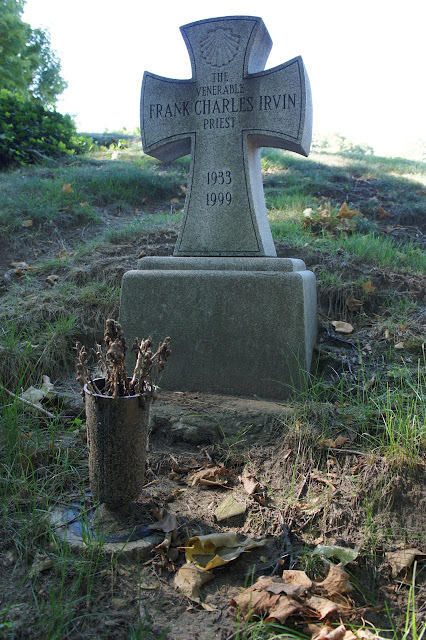 His story was the basis for the film, The Untouchables. Cleveland underground comic writer, famous for his series (and film), American Splendor. 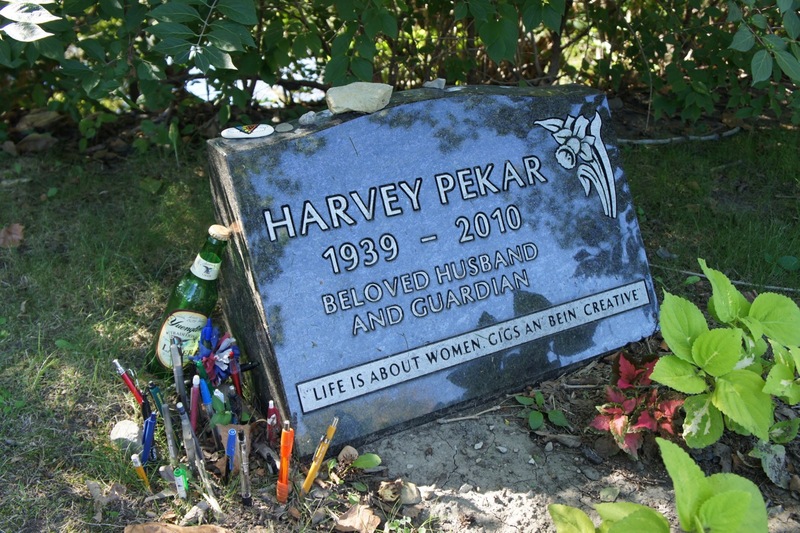 "Life is about women, gigs and bein' creative." 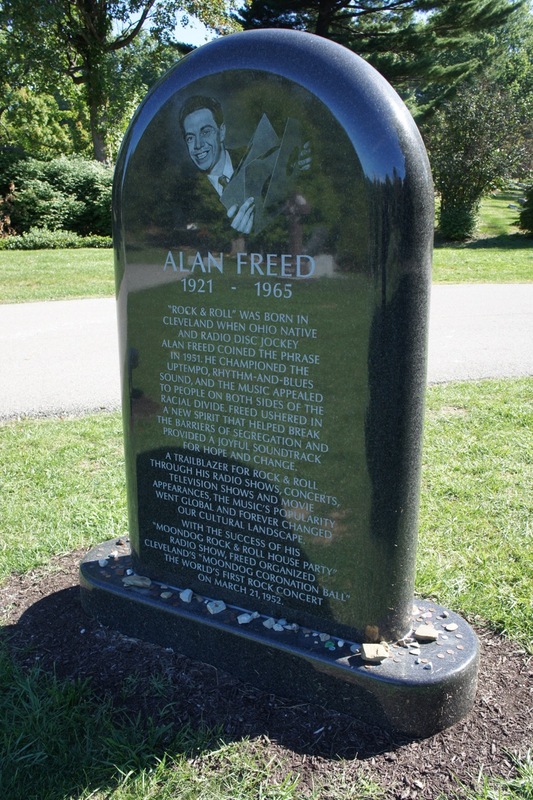 50s Cleveland radio DJ who first coined the term "rock & roll." 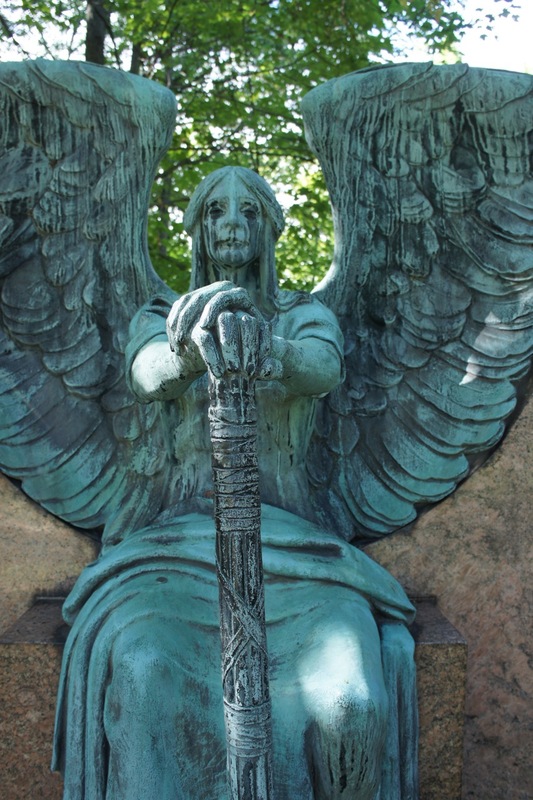 Powerful imagery. 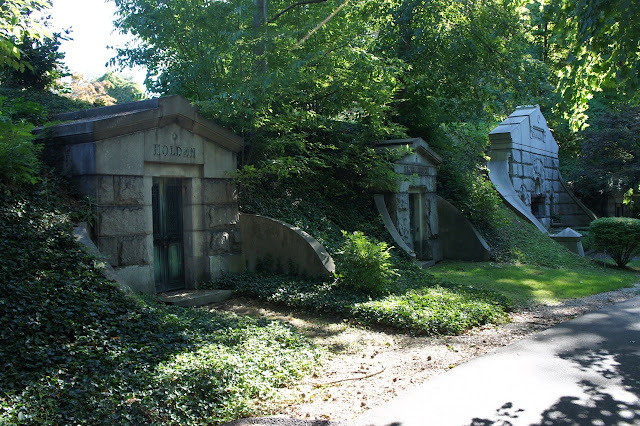 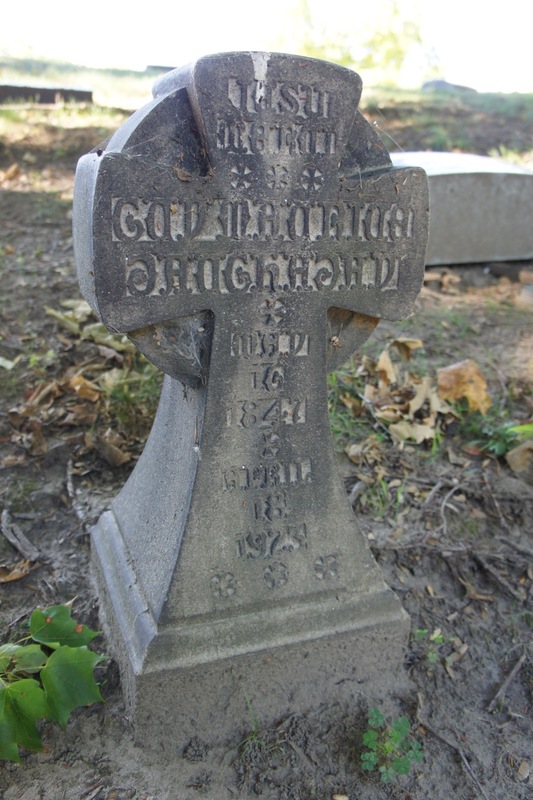 I always prefer the older, more forgotten cemeteries. 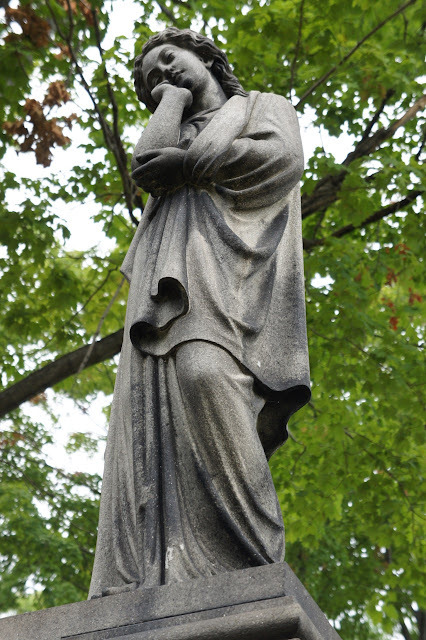 Nothing like being in a cemetery on Halloween night.